Cystoscopy is a procedure that is done in order to examine the inside of a patient’s bladder. This procedure is performed by gynecologist, Dr. Zelmanovich in Midtown NYC using a small thin camera that is inserted into the patient’s urethra and to her bladder. That camera is called a cystoscope. There are two types of cystoscopies; one is called a flexible cystoscope, which uses state of the art fiber optics, which helps the cystoscope bend. The second type of cystoscope is called a rigid cystoscope that does not bend, and is straight. 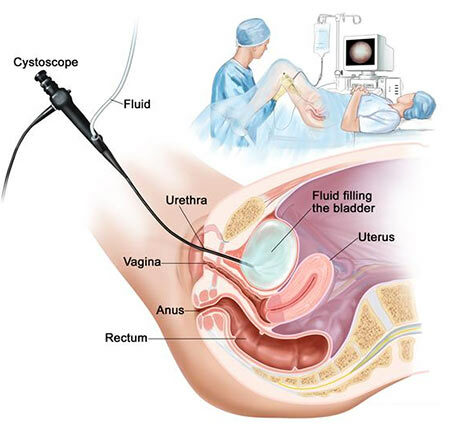 In both types of cystoscope the gynecologist can see within the bladder and she can take pictures that are displayed on a screen usually next to the patient. If the gynecologist sees an abnormality she may choose to take a very small biopsy (sample) of the bladder using another instrument, which is passed through the cystoscope device. 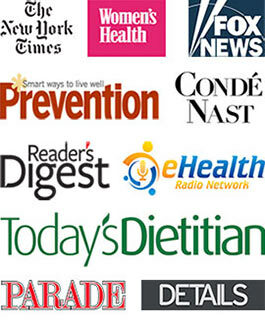 Patients may need to be evaluated by gynecologist, Dr. Zelmanovich in Midtown Manhattan with a cystoscopy when they have symptoms such as recurrent urinary tract infections, blood in the urine, pain with urination, abnormal cells in the urine, or difficulty with emptying her bladder. Cystoscopy can help the gynecologist know if the patient’s bladder is normal on the inside or if she has a condition that is contributing to her symptoms. Cystoscopy can also be used to see how the patient is responding to treatment. Usually the patient will be awake for the procedure, though some people may need a sedative to help with anxiety. It is not usually a painful procedure. The patient will change into a hospital gown and then the gynecologist’s assistant will prepare the patient for the procedure. The patient will be placed in lithotomy position (lying down, legs in stirrups) and her urethra will be cleaned with an antiseptic solution which helps prevent infection. Then the patient will receive a local non-painful anesthetic jelly placed directly into the urethra. This jelly helps smooth the insertion of the cystoscope through the urethra. The gynecologist, Dr. Zelmanovich in Midtown Manhattan is now ready for the procedure. She will ask the patient to take a deep breath and then she will insert the cystoscope through the patient’s urethra and then to the bladder. The bladder is then filled up with sterile water so that the lining can be inspected. She will then carefully inspect all aspects of the inside of the patient’s bladder looking for any abnormalities and taking pictures. The patient may feel the discomfort of her bladder filling which is normal. If there is an abnormality the gynecologist may take a small sample and send it for evaluation under a microscope, this is called a biopsy. Once she has completed the examination, the cystoscope will be removed from the patient’s bladder and urethra. The whole cystoscopy procedure will take about 5-10 minutes. After the procedure is done the gynecologist will explain what she found on her exam. Then the patient can go relieve herself in the restroom. Under certain conditions the gynecologist, Dr. Zelmanovich may recommend general anesthetic in order to perform the cystoscopy procedure. What are the expected side effects or complications with cystoscopy? Most cystoscopies are done without any problem but, as with any procedure, it is invasive. After the procedure many patients will report a mild burning especially during urination, as well as an increased sense of urgency to urinate. Usually this feeling will pass after one day. Patients may also notice that their urine looks pinkish with a small amount of blood in it, this is normal especially if the gynecologist took a sample of the lining. Less commonly the patient will develop a urinary tract infection after the procedure, which can cause pain with urination and or fevers. If this should happen, it is important to call the gynecologist right away so that she can prescribe the appropriate antibiotics. Most uncommonly, the cystoscope can cause a injury or hole in the bladder, if this should happen and depending on the location of the injury, the patient may need to have a catheter placed in the bladder for a few days until the injury heals. The patient should let the gynecologist know immediately if she is experiencing any severe pain or bleeding, if she is having symptoms of a urinary tract infection, or if she sees that she continues to bleed for longer than two days after the procedure. Do you have questions about Cystoscopy Procedure in NYC? Would like to schedule an appointment with the top Midtown NYC gynecologist, Dr. Anat Zelmanovich of Manhattan Women’s Health and Wellness, please contact our New York gynecology office for OBGYN consultation.